Every Fleetio account comes with unlimited seats, enabling endless collaboration potential. Tailor each user’s access to modules & features, even specific records. Whether you have five or 50,000 employees, Fleetio makes it simple to manage users in bulk. 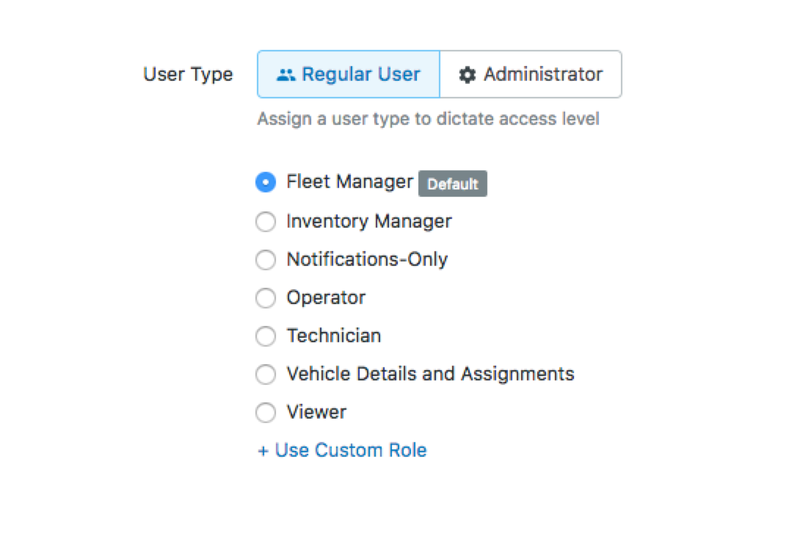 Create custom user roles for job-related functions like conducting inspections or creating work orders. When you update a role’s permissions, anyone with that role is immediately affected. Admin control over billing, users, etc. Grant access to specific sets of records for your contacts, vehicles or inventory. 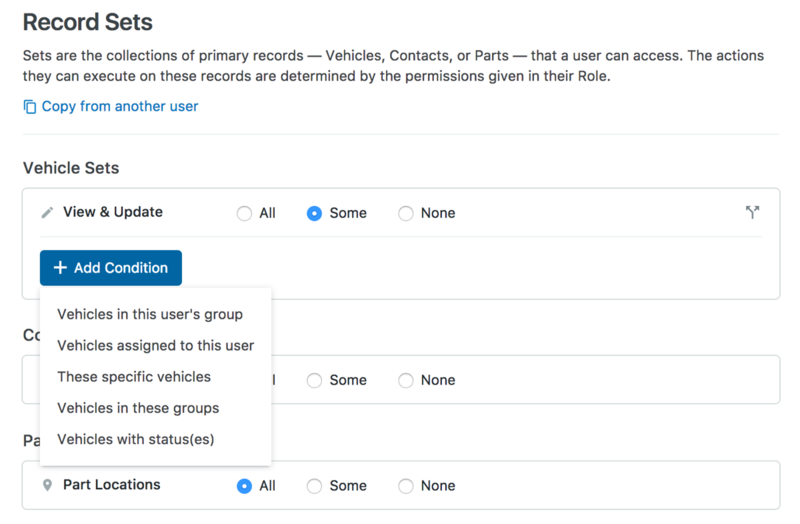 Users will only see the records they have permission to view throughout Fleetio, including reports and dashboards. computer-challenged guys can figure out. 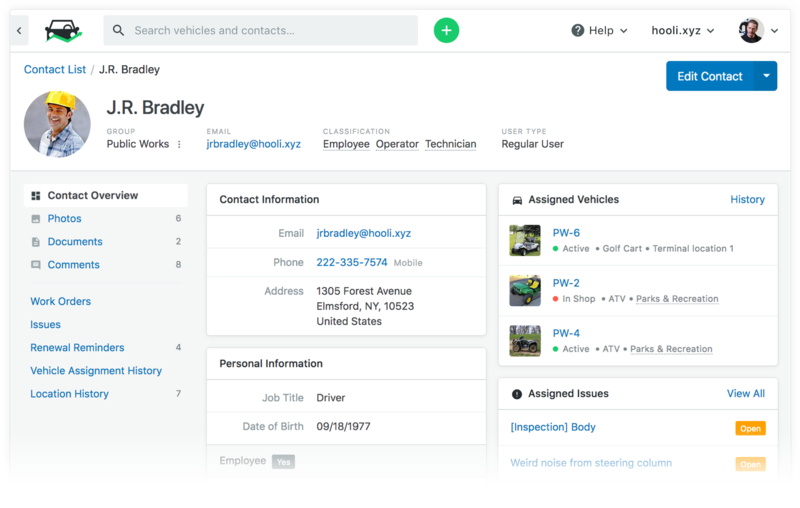 See all of your vehicle assignments in a calendar view and manage them with ease.